March saw the installation of our new Horizon BQ470 binder equipped with both PUR and EVA gluing system alongside a new Horizon HT30 trimmer. Both machines benefit from ease of setup making them perfect for very short on demand runs as well as the longer litho runs. This installation now means we offer the entire range of soft cover bindings in-house Perfect, Notch, PUR and Thread Sewn so whatever your requirements we’ve got it covered. PUR binding is effectively the same process as perfect binding but with the added benefit of a very strong glue, this glue takes 24 hours to fully cure but once set is much stronger than adhesive traditional bindings. This makes it perfect for publications that will get heavy use and where the budget cannot stretch to thread sewn. PUR adhesive is environmentally friendly, allowing PUR-bound books to be easily recycled. PUR also has a lower melting point than EVA glues resulting in energy savings. PUR glue retains durability and flexibility in both high and low temperatures. The temperature resistance for PUR glue ranges from –20 to 120 degrees Celsius versus 0 to 60 degrees Celsius for traditional EVA glue. 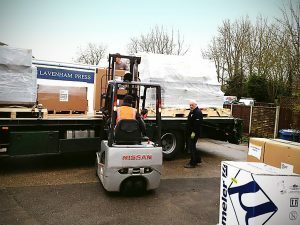 This allows PUR bound books to be handled in almost any climate or location. PUR glue also provides the best page spread compared to traditional EVA hotmelt glue. High binding strength allows for the application of a small amount of glue, allowing the pages to lay flatter when the book is opened. To discuss how PUR binding can benefit you contact our customer services team.